For 991 posts of Nursing Officer VMMC Nursing Officer Admit Card is now released by Vardhman Mahavir Medical College & Safdarjung Hospital. Applicants who had applied towards VMMC Nursing Officer Recruitment can download via online mode. VMMC is all set to conduct VMMC Nursing Officer Recruitment exam on 07-10-2018 for which direct link to download VMMC Nursing Officer Exam Admit Card is now active. 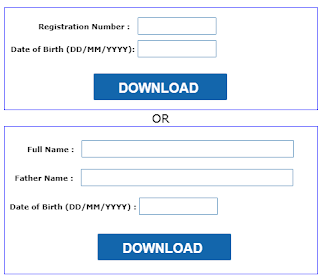 To download VMMC Nursing Officer Hall Ticket you need to have your login details. Aspirants can follow below given simple steps and download VMMC Nursing Officer Call Letter easily. Also, direct link to download VMMC Nursing Officer Exam Admit Card is provided for the ease of readers. Team members of www.privatejobshub.in have well equipped this page with pin pointed details about VMMC Nursing Officer Admit Card 2018-19 you can go through given details and download you call letter. Initial step to get VMMC SJH Nursing Officer Admit Card is to login to official website that is www.vmmc-sjhonline.com. Now, hit “Press here for Admit Card” link that is given in mid- section of page. Further, you will navigate to new page where some details will be asked as shown in below image. You have to enter the details in the space provided. Aspirants have the option to enter the details either with registration number details or by name wise. Once all details are properly filled press “Download” tab. Now, your VMMC Nursing Officer Admit Card 2018 will appear. You can check the details available in VMMC SJH Admit Card. Afterwards, press suitable download link to download VMMC Nursing Officer Call Letter. Then, take the hard copy of VMMC Nursing Officer Admit Card and keep it secured for future use. VMMC Nursing Officer exam will be Online Objective type. The Exam will be of 150 MCQ with 120 Minutes. There will be negative marking of 1/4 Marks for the wrong Answer. To know other related details about VMMC Nursing Officer Admit Card 2018-19 go through given Official Link. To grab more details about VMMC Nursing Officer Hall Ticket 2018, keep visiting our portal.